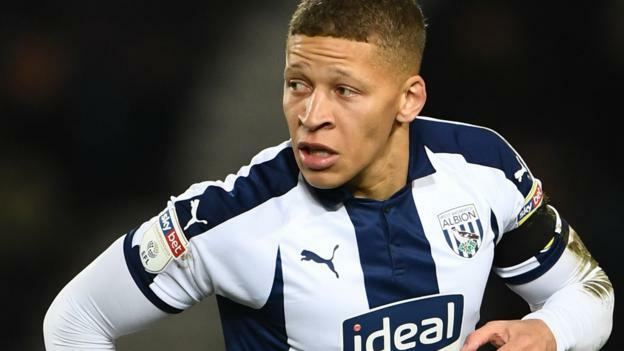 West Bromwich Albion forward Dwight Gayle has been charged with “successful deception of a match official” in Tuesday’s draw with Nottingham Forest. It is alleged he committed an act of simulation which led to a penalty being awarded in the 89th minute of the game. Jay Rodriguez scored from the spot to secure a point for the Baggies, who stayed fourth in the Championship. Gayle, 28, who is on loan from Newcastle United, has until 18:00 GMT on Thursday to respond to the charge. His late equaliser denied Nottingham Forest a win that would have moved them to within three points of the play-off places. Laws introducing the power to retrospectively punish “clear acts of simulation” were introduced in May 2017. The first suspension for deception, imposed by the Football Association was in October 2017, when Carlisle forward Shaun Miller received a two-match ban. Everton’s Oumar Niasse became the first Premier League player to be similarly punished the following month.